Firm Chairman Thomas C. Erb and Estate Planning & Probate Department Co-chair Marian V. "Bo" Mehan were named in St. Louis Small Business Monthly's Top 100 St. Louisans to Know list. The list is comprised of key executives, financiers, notable achievers, connectors, and other business-community leaders. The judges chose the individuals based on their contributions to the area businesses and the overall business community. Tom Erb leads the Firm with a strong business sense, developing and communicating the Firm's strategic direction and ensuring that its policies and culture align with the Firm's business goals. In addition to managing the Firm, he maintains a thriving corporate finance and M&A practice. 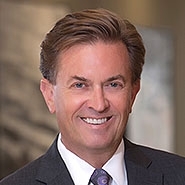 He has represented lenders and borrowers in hundreds of financing and investment transactions, from documentation to closing, and he advises public and private companies on mergers, asset and stock acquisitions and sales, consolidations, reorganizations, recapitalizations, and similar transactions. Bo Mehan has more than 20 years' experience advising clients on their estate planning, wealth transfer planning, estate and trust administration, and post-mortem planning. Additionally, she represents banks and other institutions with their estate and trust law questions and in their roles as trustees and personal representatives. 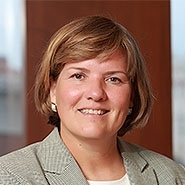 Bo is committed to serving her community, and she plays many civic and charitable roles, holding various leadership positions with several St. Louis nonprofit organizations over the years, including Cardinal Glennon Children's Hospital Foundation, Chaminade College Preparatory, and Access Academy. To view the list, click under "Resources" below.